KANSAS CITY, Mo. 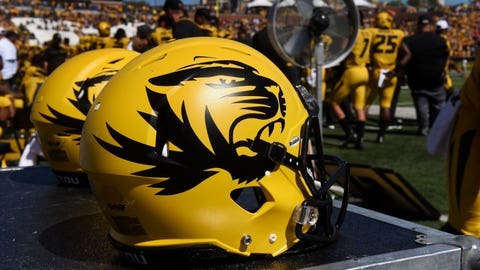 (AP) — The NCAA banned Missouri’s football, baseball and softball programs from the postseason for a year and placed the entire athletic department on probation Thursday after a two-year investigation revealed academic misconduct involving a former tutor. Chancellor Alexander N. Cartwright vowed that the school would appeal “this harsh and inconsistent decision,” a back-and-forth process that could take several months. Kumar told the panel she felt pressured to ensure athletes passed certain courses, primarily in math, though the investigation “did not support that her colleagues directed her” to complete course work. The NCAA acknowledged proactive steps taken by Missouri in investigating the academic fraud, but the school’s administration was stunned it was not reflected in the severity of the penalties. The former tutor did not respond to requests for comment Thursday, but she later unleashed a barrage of tweets in response to the investigation. In one of the posts, Kumar claimed she was “no longer able to substitute teach in Columbia Public (School) District” because of the fallout. Three years ago, the NCAA placed Missouri on probation after finding the school failed to monitor its men’s basketball program in a case involving internships provided by a booster. A second booster was found to have provided impermissible benefits to 11 members of the same program totaling nearly $12,000.